We love indulging in Grandma’s lasagna every once in awhile, but this lighter zucchini noodle version is a dish you can enjoy any night of the week. 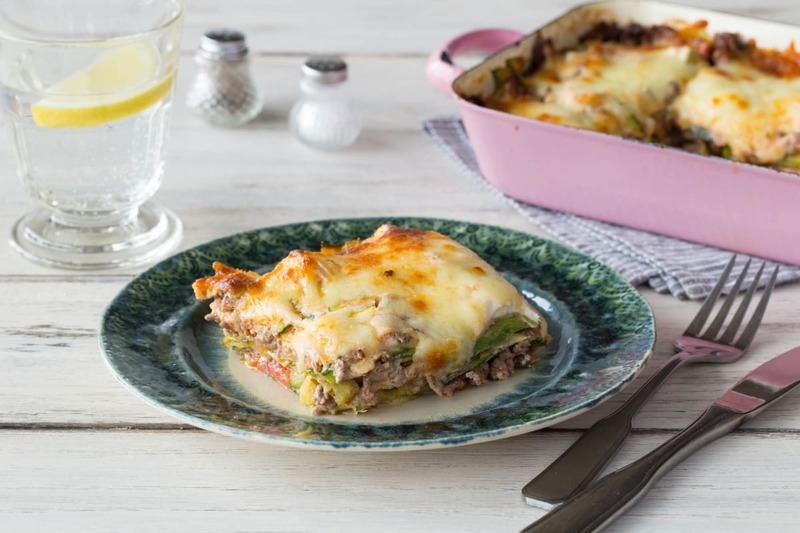 Our version has all the cheesy, meaty flavor of the original, without that nap-inducing heaviness. Preheat oven to 425 degrees. Halve, peel, and finely dice the onion. Mince or grate the garlic. 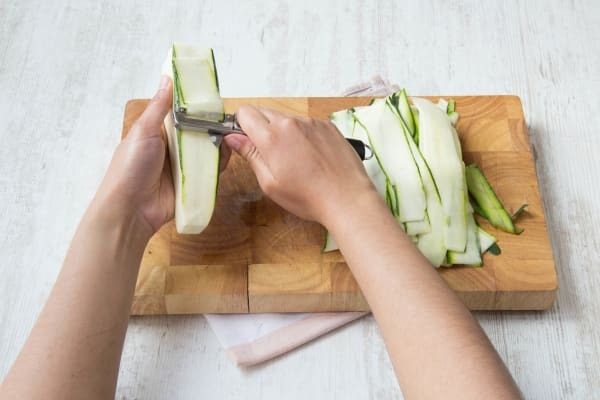 Using a vegetable peeler, shave the zucchinis into ribbons lengthwise, discarding the seedy cores. Heat 1 tablespoonolive oil in a large pan over medium heat. Add the onion to the pan and cook, tossing, for 5 minutes, until softened. Add the garlic and chili flakes to the pan and cook 30 seconds, until fragrant. Season with salt and pepper. 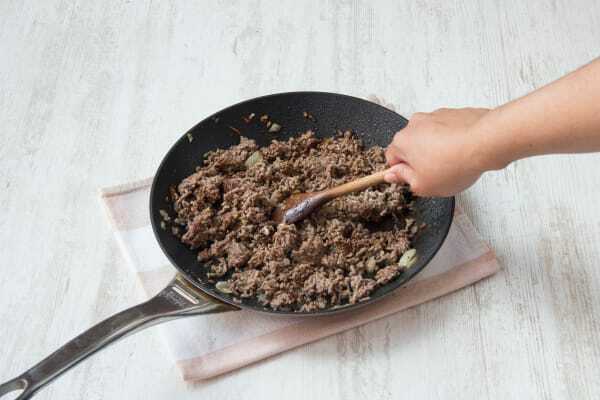 Add the ground beef to the pan and cook, breaking up the meat into pieces, until cooked through. Season with salt and pepper. 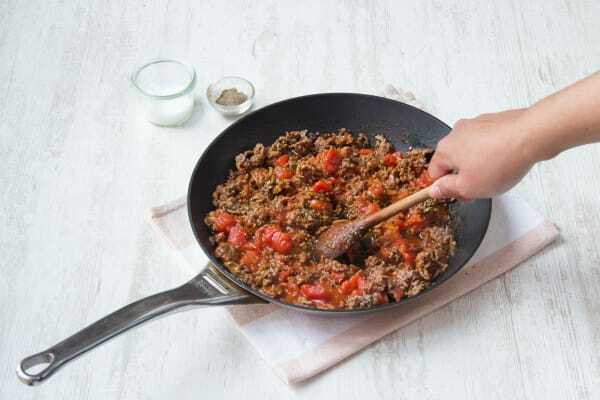 Stir the tomatoes and oregano into the pan and cook for 5 minutes, until bubbling. Season with salt and pepper. Meanwhile, season the ricotta with salt and pepper. Assemble the zucchini lasagna: in the bottom of a greased baking dish, place two layers of zucchini ribbons. Top with 1/3 the tomato mixture and 1/3 the ricotta. Repeat for two more layers, then sprinkle with the mozzarella. Place in the oven for 20-25 minutes, until the zucchini has softened and cheese is bubbling. Cut into slices and enjoy!